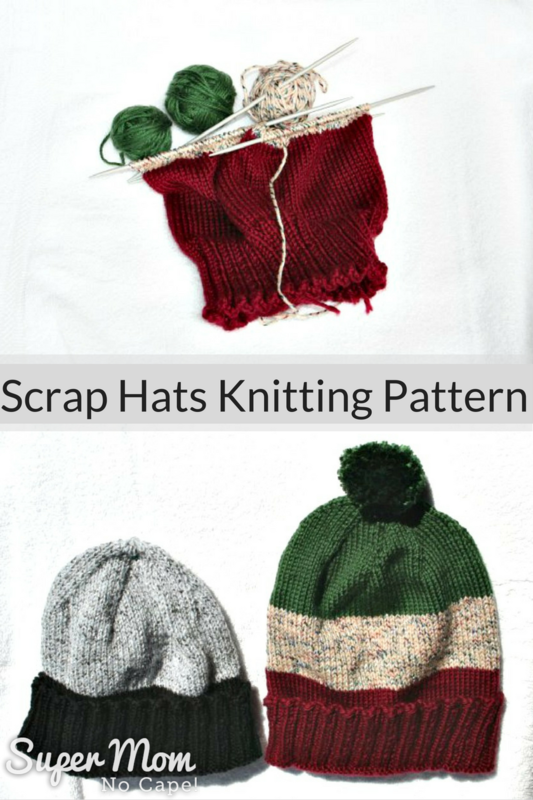 Scrap Hats Knitting Pattern - Super Mom - No Cape! Need a quick to knit pattern to use up all those leftover balls of yarn from other projects. 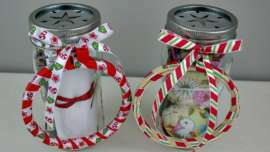 These Scrap Hats are perfect! They knit up quickly from whatever worsted weight scraps you happen to have. The pattern is for an adult size hat or as we call them in Canada… toques. But once you’ve knit one, you’ll be able to easily figure out how to adjust the number of stitches to fit any size head. 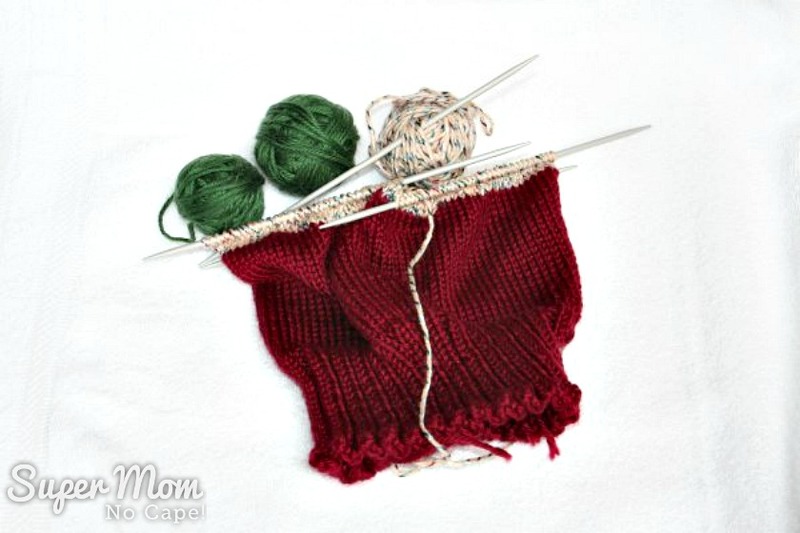 Divide stitches evenly between three needles. Join to work in the round. For the cuff: *K2, P2*, repeat until end of rnd. Continue K2, P2 rnds until the cuff measures 3 inches. The remainder of the hat is worked in stocking st (knit every rnd) until it measures at least 9 inches from the cast on edge. As you run out of one ball of yarn, switch to the next. For a neater appearance, join at the beginning of a rnd. 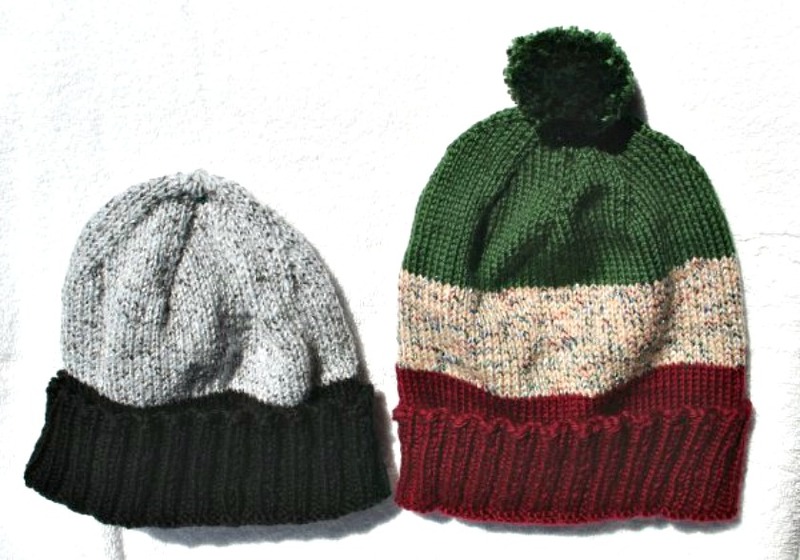 9″ plus the decrease rnds will make a head hugging hat like the one pictured below on the left. If you prefer a taller hat, knit for an additional 1 to 2 inches before beginning decrease rnds that form the crown of the hat. The hat shown above on the right was knit for 11 inches before beginning the decrease rnds. Rnd 2 and all even numbered rnds: Knit each stitch. Continue decreasing in this manner until there are 16 stitches on the needle. 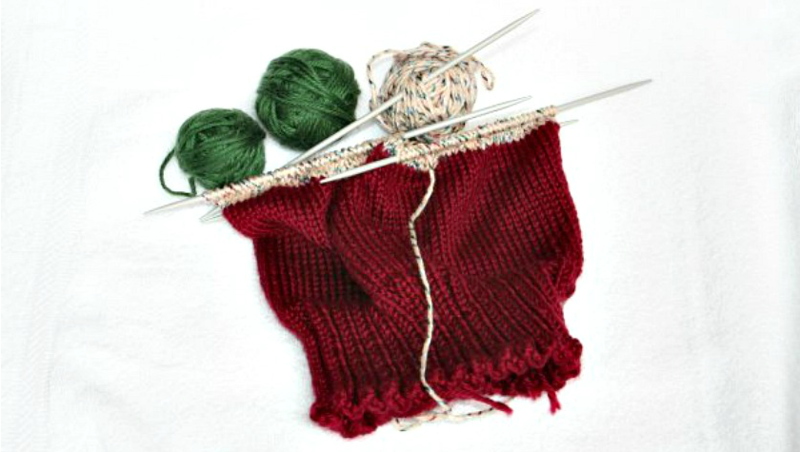 If using a circular needle, switch to double pointed needles when necessary. Final Rnd: *K2tog four times. Cut yarn, leaving a tail of about 8 in. Thread yarn through 8 stitches remaining on needles. Pull yarn tight to close the top of the hat. Weave in ends. 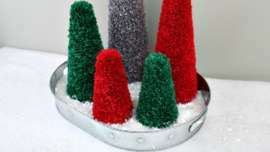 If desired, add a pompom. 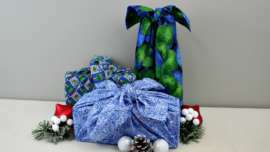 To pin this pattern for future reference, please click on the Pinterest button underneath this post.